Since 1972, online subscription-based wine clubs have offered a monthly delivery of hand-selected wines directly to consumers. The fad died down in the early 2000s, until recently. Wine clubs have become a new wave for a younger generation of wine tasters who are interested in quality information and customized experiences. The clubs feature personal selections from Master Sommeliers to give members an informed and reliable source as to what type of wine is best to suit their pallet. According to recent Nielson reports, millennials have become the majority of U.S. wine drinkers since 2015. Young wine connoisseurs are veering away from apps which they argue focus on “the more the better” concept, favoring quantity over quality. 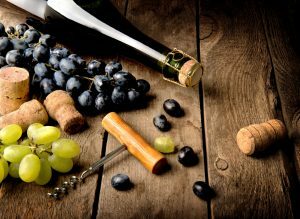 The new wave of Wine Clubs are more exclusive which makes members really feel like they are a part of something unique and are ensured access to superior product.